From Pike Place Market to Pioneer Square you want everyone to know about your next gathering! 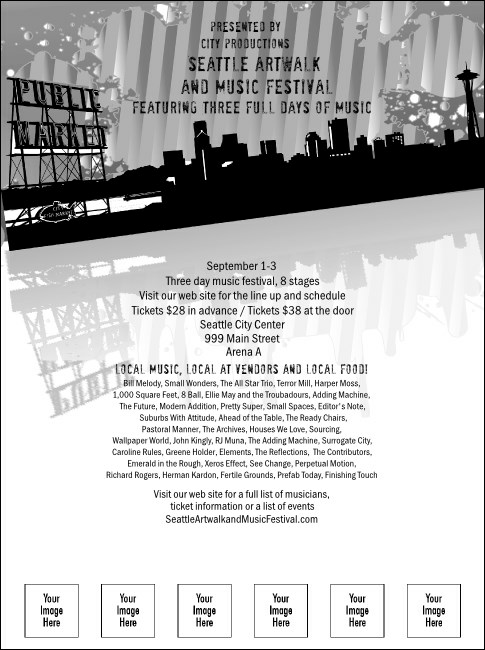 The black and white Seattle Flyer is a great way to announce it. The flyer features stunning views of the Space Needle and downtown, as well as six spaces to upload custom images of your sponsors or performers. Stylish and affordable, a matching black and white event kit is available through TicketPrinting.com.